On-going performance to be done with two or more people at any first encounter. 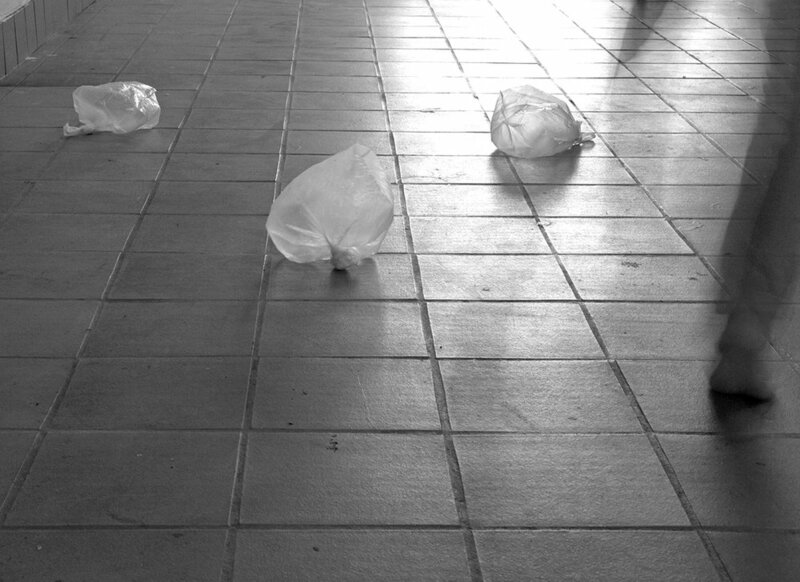 As an alternative to introducing myself to a unknown group of people, I give each person a plastic bag to exhale into once simultaneously. These breaths are sealed and left to float around the room during our time together, reminding us of an essential quality that seems to make names and ethnic origins obsolete. Each sealed bag takes on its own unique form yet the quality of the bags bring up ideas of fragility and waste.